All companies try to present new interesting ideas in their office workplace with a variety of things. Others present great facilities to show the concept of luxury, modern and comfort. Nevertheless a fancy and luxury office requires significant cost because of expensive furniture for a luxurious workplace. Creating a great office workplace with interesting concept and design doesn’t always mean excessive spending. We can use simple ideas that don’t really need tons of money but still offer fresh and interesting look. A cool and delightful contemporary office design seems like one of the best idea to provide your workplace the easiest method to develop it into a perfect working atmosphere, that is, within a reasonable budget. 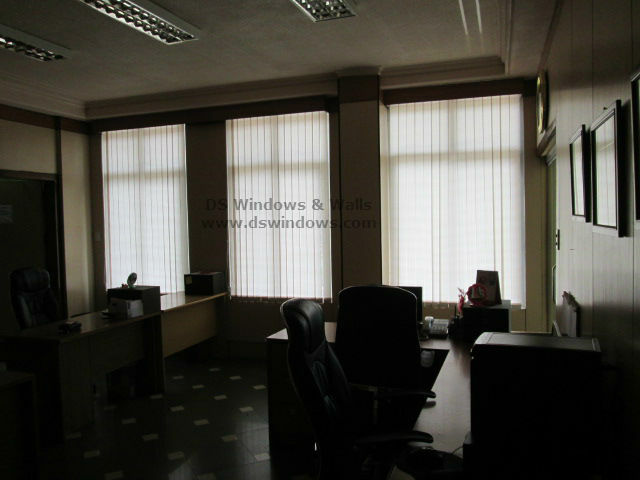 One of our clients in San Miguel Avenue, Pasig City Philippines, who use contemporary themes in his small workplace opted for fabric vertical blinds as window cover. To bring a contemporary design you need to consider several things like the paint color, contemporary furniture and the right arrangement of things. For wall paint neutral and a lighter color for brighter surroundings is more suitable while dark tiles for more emphasis on the color combination. 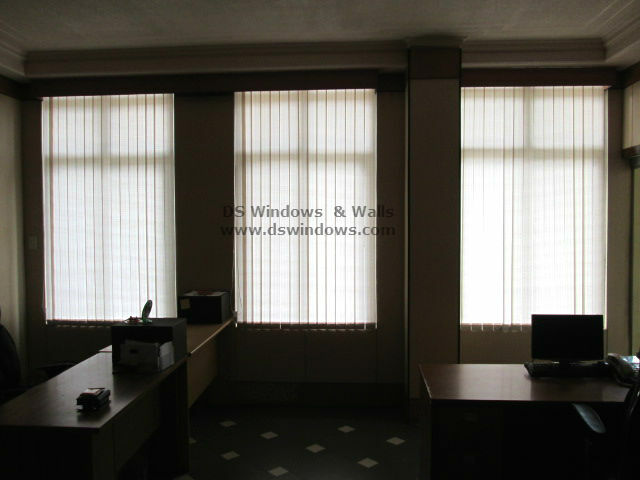 Window cover using fabric vertical blinds is an outstanding choice because of two good reasons for beautifying your office. The vertical slats are great to create an illusion of making your office appear bigger/taller and the light penetrating inside the room builds a refreshing look that can help to lighten the atmosphere of almost any room. When it comes to durability, fabric vertical blinds is also one of the best blinds available. 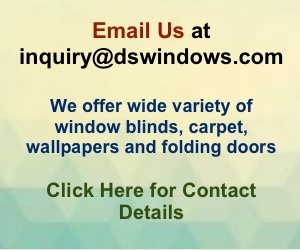 Email us at inquiry@dswindows.com or call us at (02) 403-3262, (02) 668-9668, (02)893-1373 and 0916-311-3909 for any inquiry. You can also visit our shop located at 4th level Waltermart Makati, 3rd level Robinson Metro East Pasig City and 2nd level Pacific Mall Lucena City. We offer free estimate visit if your office or home is within Metro Manila.